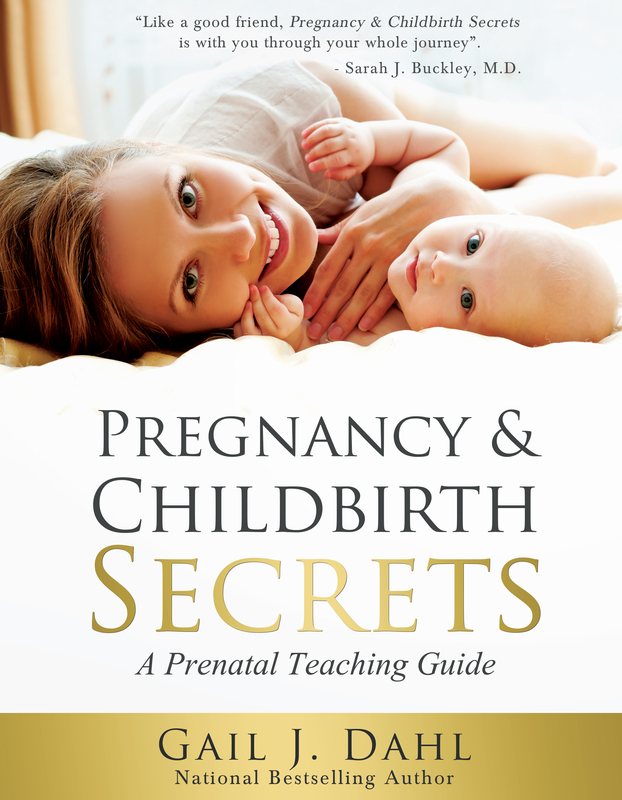 "Pregnancy & Childbirth Secrets: A Prenatal Teaching Guide – An International Bestseller! Every woman has the right to be supported in choosing a drug-free birth with the assistance of a midwife. Every woman has a right to be financially and emotionally supported in choosing a drug-free birth. Every woman has a right to choose her caregivers for birth. Every woman has a right to choose a birth setting, that she is most comfortable with, whether home, birth center, or hospital. Every woman has a right to have a drug-free birth. Just as a woman is supported with drugs during birth, so to, we need equal support for women choosing drug free birth. Women choosing a drug free birth must have available to them the emotional and technical support of a professional midwife. Every baby has a right to have a drug-free birth. All drugs and alcohol cross the placenta and will affect the brain and cardiac function of the baby. Drugs and alcohol are dangerous at any time during pregnancy, including labor. We must support women choosing drug free birth to reduce the drug and chemical exposure of our babies. Health insurers save money when they support drug-free birth. Drug-free births save money by reducing cesarean costs, reducing medical intervention costs, and improving the health of mothers and babies. Drug free birth is not just about breathing, it is a combination of techniques used to help the body reduce the pain of labor, help the mother to labor more efficiently and help the mother achieve a faster recovery after childbirth. Drug free births save on hospital beds leaving our critical care beds available for the most ill.
Drug free births save on drug costs charged to our health plans. Drug free births save money by reducing the cesarean rate. Drug free births save money by using skilled primary care professionals like midwives instead of trained surgeons for childbirth. Drug free births save money by freeing up critical care staff in the hospital. Many of the drugs used in hospitals today are creating the problems they had hoped to avoid. Epidurals may have been oversold as pain relief for labor. Many women report an epidural gives them the feeling of having one too many cocktails, with the attending room spinning and nausea. Labor pain is only slightly reduced for many women causing them to request more than one epidural. The feeling of pain along with being unable to move around because of the narcotics in the epidural is causing many women to choose drug free birth for their second and third births. Additional problems can occur when an epidural is given too early in labor which may cause the labor to slow down or stop, causing more drugs to be given to speed up the labor, which causes the woman to require more pain drugs to handle the more painful chemically induced labor. At this point the baby can go into distress causing further medical interventions to be required for both the mother and baby. Using drug free methods for pain control in labor often work more effectively at reducing the pain of labor and reducing the incidence of cesarean. Some of the drugs used to chemically induce or force the labor of a pregnant women are actually causing a tremendous increase in our cesarean rate as these drugs have a high failure rate in forcing the body to labor before it is time. If the scheduled induction does not work, the woman goes immediately to experience a cascade of medical interventions to compensate for the failure of the drug. A drug-free labor avoids forcing the body to labor and waits until the body signals it is ready to birth. We need to financially and emotionally support women choosing a drug free birth. We need to see that this right to have a drug free birth is upheld. We need to save money on our health care costs for childbirth. We need to increase the health of our babies and mothers by providing a drug free environment for those choosing this health enhancing option for childbirth in the setting and with the caregiver that they are the most comfortable with. The benefits to our society will be far reaching when we encourage and support women to use alternatives to drugs during labor and childbirth. Every mother and every baby has a right to experience a drug free birth. We need to fund midwifery now! It is every mother’s right to give birth drug-free. Gail J. Dahl is a childbirth researcher and educator, an advocate for safe and gentle childbirth and a national bestselling author. She has received many awards, including The YWCA Woman of Distinction Award, The Woman of Vision Award and The Great Women of the 21st Century Award for her work in women’s health and education. Nominated for Community Advocate: Organization and Signature Award for exceptional community achievements. gaildahl on #1 International Bestseller! Gail Rude on #1 International Bestseller!